So you started a blog knowing that it’s a great way to make money these days; you check your accounts and…nothing? If you haven’t started a blog yet and you’d like to know how, check out this helpful article I put together to compliment this article. 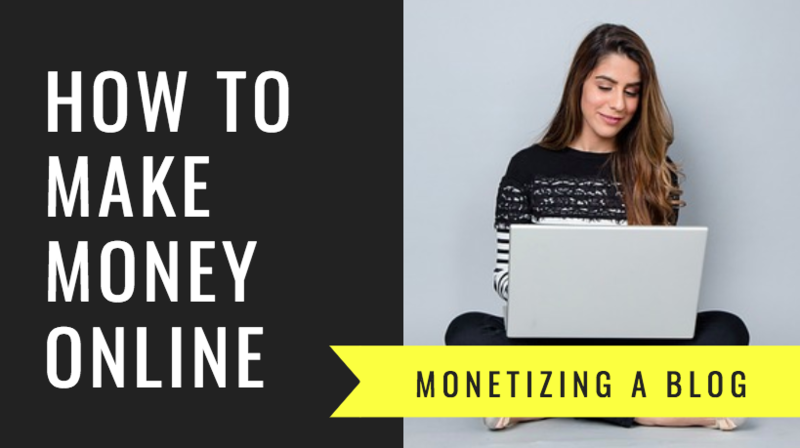 Are you wondering how to make money from your blog fast? But there are plenty of ways to make considerable money from a blog. Your blog is up, you’ve put money and work into it, now it’s time to start making your money back! Most of them will annoy your readers, so I don’t recommend them. My three favorite ways to make money through blogging (without annoying readers) are with affiliate marketing, freelancing, and selling products. You won’t make money straight away, but blogging income builds over time. If you want to make serious money on your blog, then you should become a master affiliate marketer (more on this at the end of the post). I’m actually considering quitting using Google Adsense for the time being because the returns on it are so low for the space it takes on my website. But there are a plethora of affiliate programs out there that can make you money, including being an Amazon Associate. Whatever your niche is, identify what products are sold in that niche. Type those products’ names (+ affiliate program) into Google search and find the affiliate programs. Sign up and start selling today! If you’re not keen on being an affiliate marketer, the easiest way to make money through your blog is by offering your freelance services. If you’re a blogger, that means you’re also a writer. And perhaps a photographer, videographer, or dog hair stylist. You could make a living taking photos like this. People will pay you to do it when you reach them through your blog, because a blog shows you’re serious about what you’re doing. I’m a freelance writer, and I get my clients through my other websitethat focuses on my writing services. This is my main form of income, and it’s the easiest way to quickly start earning money through your blog. It’s really up to you what you sell, but the possibilities are endless. My blog is based on my travels with my daughter and how we do it, so I’m currently working on another book about exactly that. It’s awesome you have your blog set up, but you’ll soon realize that it’s more than just typing and publishing. There’s nuance to getting your blog to reach more people and hold their attention longer. Learn from the best, from those who’ve successfully monetized their blogs and went into income overdrive! When I first started blogging, Elna, even if she doesn’t know it, was an inspiration to me. She urged me to continue my pursuit of a writing career. Elna’s course is all about building a freelance business around your blog. And she taught me ways to maximize my pursuit. If you’re looking for an excellent teacher to show you the ropes into a freelance writing career, take the Write Your Way to Your First 1K! Writing Course by Elna Cain. You’ll be freelancing your way to a stable online income in no time, just like me! We blog about what excites us, what drives, and what hurts us. Leaving this waterfall behind hurt. We talk about things in public that others shy away from in private. We get it all out there. So why shouldn’t we get something back from it? 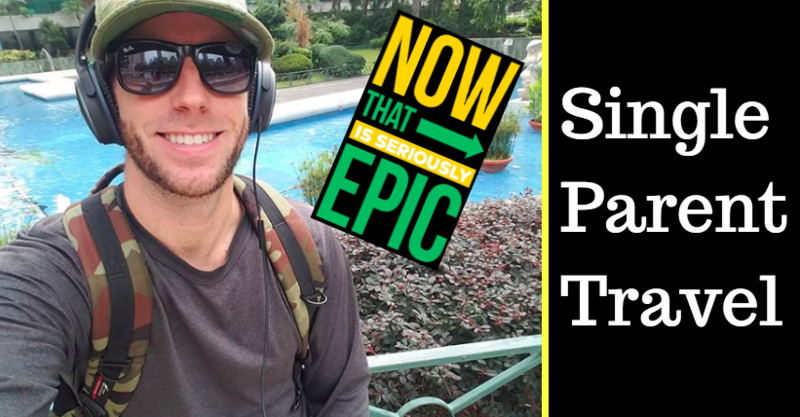 If you’re a dreamer with a travel blog, take Nomadic Matt’s Superstar Blogging Course to turn your dream into an income. And because I love you, here’s some bonus material for those who are extra hungry. A blogging course teaches you how to properly run your blog for your needs. To maximize your profits from your blog, there are tried and true programs designed for beginners like you! It’s the step most bloggers take before they start selling their own products. It’s easy-to-understand, and relatively passive after the initial work. To jump-start your affiliate marketing skills, join Wealthy Affiliates by clicking here. You’ll have access to the best and most prestigious affiliate marketing course on the web with consistently high-rated reviews from students. Wealthy Affiliates is perfect for beginners because it also has a built-in site builder that will do most of the work for you! You can try it out for free with no risk at all. As WA puts it: Endless Opportunity. Zero Risk. As a ClickFunnels student, you’ll have access to everything you need to market, sell, and deliver your best products online. Again, you can try it out for free so there’s no risk. Click this linkto get to know them! It’s drag-and-drop editor inside and its easy-to-use dashboard makes ClickFunnels an investment that simplifies your life. That’s what I think is truly important. Time-saving tools are my number one priority. ClickFunnels is the ultimate time-saving tool for bloggers. Starting a blog for free isn’t impossible. But the goal shouldn’t be to start a blog for free. The goal is to start a blog that makes money in 2019 and beyond. If you’re using the Wealthy Affiliates and ClickFunnels approach from above, you’ll likely be running several profitable blogs after a few years of seeing how awesome running just one is! I’ll be starting my third website later this year! The blogging courses by Elna Cain and Nomadic Matt are great for building an audience and a business around them. Their leadership is what lead me to running this blog today! If you want to blog forever, follow the instructions in this post. But blogging is a long-term game. This is just the best way to get moving. If you liked this article, please Pin it above and share it on Facebook with your friends who also want to make money from a blog!